Mishelle is an advanced Classical Pilates instructor certified through The Pilates Center in Bounder, CO. She did her training at Kalijo Pilates in Davis Bay and Pilates From the Center in North Vancouver. 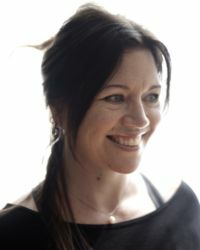 Coming from a background in Contemporary dance, as a teacher, choreographer and performer, Mishelle has always been passionate about learning developmental movement, patterns, body mechanics, Body Mind Centering and multiple bodywork techniques. Mishelle continues to teach dance with Waldorf Ballet in Sechelt, incorporating the Classical Pilates method into Contemporary dance training along with training other youth athletic groups, improving their strength, stamina and injury prevention.